FROM KOLKATA/or for that matter from anywhere travel TO BALASORE(Orissa); Kuldiha is 30 km from Balasore. For Booking of Kuldiha & Jorachua FRH pl. contact- Range Officer,Sujangarh, Nilgiri, Balasore. (06782-256142-DFO)/ 09437365112. Kuldiah is 40 km from Balasore Rly.station. Hire a car from Balasore and come down to Nilgiri Cachari Bazar and do all your shopping of food ,Drinking Water and grocery for stay at FRH; the chowkidar shall do the cooking, or else self-help; obtain booking papers from the office of DFO nearby; Visit Rusia Dam on reaching Kuldiha, which is 13 km therefrom; Jorachua FRH is 14 km from Kuldiaha FRH. Visit the watchtower at Garhsimulia en route to Jorachua FRH (at a distance of 5km ); the location of Jorachua FRH is more within the dense forest. Both the FRH remains closed from July to September. -Source :Saptahik Bartaman-19.12.2009;/Ananda Bazar Patrika-supplementary 03.09.2011. For Booking of Kuldiha & Jorachua FRH pl. contact- Range Officer,Sujangarh, Nilgiri, Balasore. (06782-256142-DFO)/ 09437365112. Kuldiah is 40 km from Balasore Rly.station. Source :Saptahik Bartaman-19.12.2009;/Ananda Bazar Patrika-supplementary 03.09.2011. May I suggest that you please go through this post in some other forum, regarding Kuldiha? It is informative and is written by a long time friend of mine. Today(29/5/2013) a good TR has come out on Kuldiha in the Bengali daily "Ei Somoey" titled "Chutir Khojey Nilgirir Kole" by Pragya Debnath. It also mentions of conducted tour of 3D/2N (1 day at Chandur); package cost from Balasore is Rs.3,200/-/head; contact details;91-9337331370;91-6782270027;91-9437012978. Stay at Kuldiaha FRH/Tents. (the forest remains closed from June to November). Anyone aware if the Jorachua FRH is still operational or not. Till February 2013 Jhorachua FRH was operational. We visited the place then. 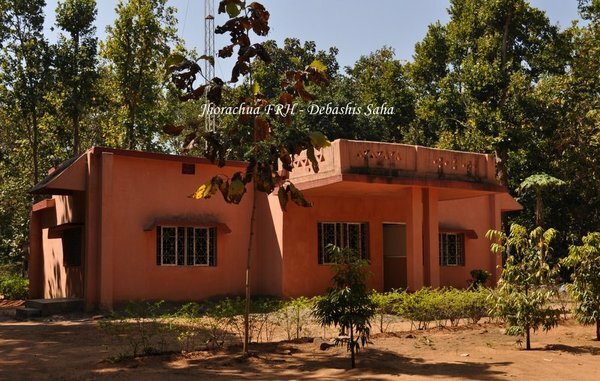 The FRH is in the core area of the forest and had two rooms. This place is frequently visited by wild elephants and sloth bears. 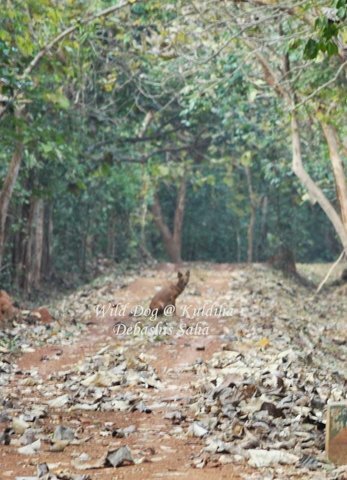 We also spotted a wild dog in Kuldiha which is very much rare in that forest. Anyone recently visited Jorachua forest bunglow, we are planning to visit in April end, please help.